With this you know all what i have done in my soccer career.Hope you enjoy reading it. Goal scored - 7 Goals scored in league games, 2 Goals in FA cup Games. Goal Assist-9 Goal Assist in league games, 5 Assist in FA cup Games. Goals Scored – 3 Goals scored in league games. BERLINER SPORTS CLUB (BSC) BERLIN GERMANY. Trained under Brasilian Coach Roberto Oliveira Gonçalves do Carmo known as Robertinho where i got serious ankle injury and have to leave back to Berlin Germany after the ankle injury to get treatment in Berlin Germany. Test training with AL-Alahly Tripoli S.C. Lybia(Premier Division),my ankle injury didnt let me do things they way i want it and the way i used to do,so i left after one and half week back to Berlin Germany. Test training with Vfl Halle 96 e.v under trainer Torsten Weber the father of my former team-mate(in Berliner Sports Club Berlin)and friend Tobias Weber.My injury and fitness because of lack of team training affected my perfomance.i decided to call it quit as my ankle injury is still paining me so much.I call it quit as professional and decided to play as an amature and also work as players agent with some top FIFA and none FIFA agents i know in my playing days. *SEMI-FINALIST FA CUP OF NIGER REPUBLIC WITH SAHEL SPORTING CLUB. Check my Awards in Finland Leaguw in Website below(Either copy and paste or Click directly on it). 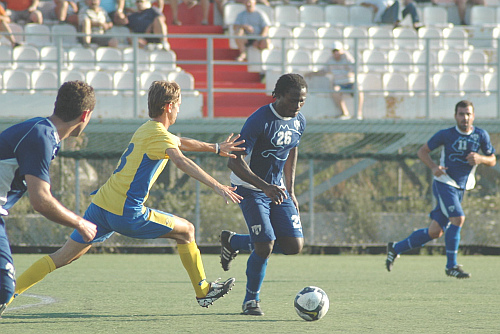 (Kisto FC Web site declear Okeke Martins As player to watch fora league game Kahja FC Finland Vs Kisto FC Vassa). “He is a very good player, a winner and a personality on the pitch,"He can lead a team"He is better in the playmaker position but plays in all area of the midfield as well"said Fc Tervarit Oulu Coach Jyrki Kyrpala when questioned about the midfielder. 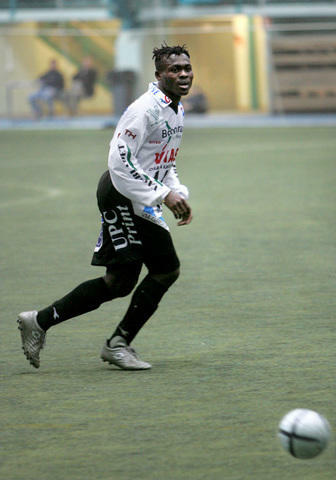 "Martins is a very good offensive midfielder,he can equally play in the deffensive midfield,but i think he is better in the offensive"said Marko Myllykangas Head coach of Football Club YPA, Ylivieska, Finland . 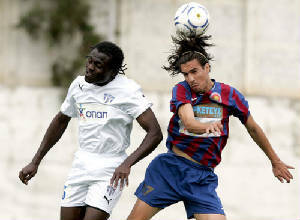 FK APOLLONIA WEB SITE DESCRIBES MARTINS IKENNA OKEKE AS MASTER OF LONG PASS(www.fkapollonia.com.al). MARTINS IS A GREAT OFFENSIVE MIDFIELDER WITH A LOT OF STRENGHT,HE IS A TEAM PLAYER AND PLAY TO MY GAME PLAN,HE HAVE EXCELLENT BALL CONTROL,GOOD PASSES,GOOD VISION,SUPPORTS MUCH IN OFFENSIVE,I CAN PICK HIM AS OUR TEAM BEST MIDFIELDER,IF I WANT TO MARK A CERTAIN PLAYER OUT OF THE GAME I TELL HIM. I was in U-17 and U-23 of Nigerian national team but as i dont have top team in europe i couldn't be selected for the senior national team.I like connecting with back players and forwrad players.